Euromonitor report that the UK sports nutrition industry grew by 16 per cent in 2013 and annual growth of nine per cent is forecast until 2018, with product sales alone expected to reach £471 million. Why study MSc Sport and Exercise Nutrition at Middlesex? Our masters degree in Sport and Exercise Nutrition was written in consultation with industry-leading experts and employers including the English Institute of Sport (EIS) to maximise the value of the degree to potential employers in elite and professional sport. Students of the course meet the eligibility criteria for graduate registration with the Sports and Exercise Nutrition Register (SENr) - the leading professional body for performance nutritionists both in the UK and globally. The course focuses on professional practice and is underpinned by solid scientific and technical foundations. Work placements and practical training are integrated into the course, equipping you with significant experience in a professional setting. You will learn from some of the UK's most experienced sports nutritionists and study in our industry-standard facilities at Allianz Park, the Saracens FC stadium where we regularly treat elite athletes and sports teams. This means that the course runs alongside our other postgraduate sport degrees and students can work together to develop their skills as part of a multi-disciplinary team of specialists. Course Leader Christopher Curtis has more than 8 years' experience working with Premier League football and professional rugby teams. Our MSc Sport & Exercise Nutrition programme uses the latest sport science and nutrition research to give our students a strong underpinning scientific knowledge whilst developing their practitioner skills to create a blended and well-rounded sports nutrition professional. What will you study on MSc Sport and Exercise Nutrition? 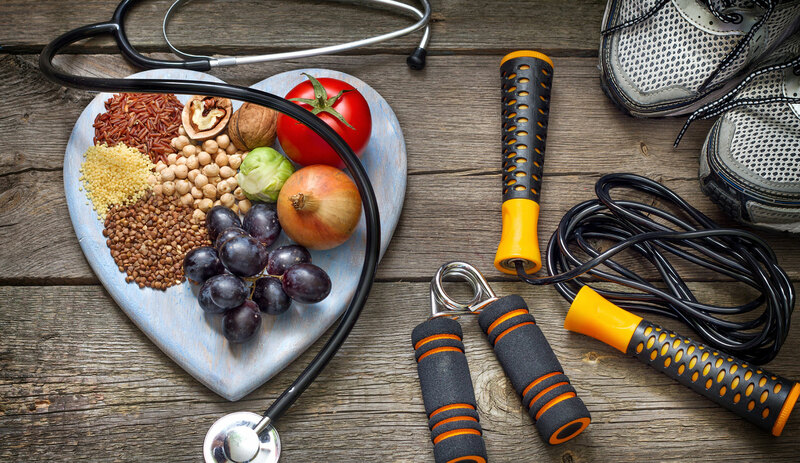 The MSc Sport and Exercise Nutrition degree is made up of five individual modules designed to equip you with the knowledge and tools needed to excel in the rapidly growing field of performance nutrition as a SENr registered practitioner. Two 30-credit modules in the Theory of Sport and Exercise Nutrition and Applied Sport Nutrition lay the scientific foundations for the rest of the course and are followed by one 30-credit module which develop your professional skills and experience. A research methods module then prepares you with the techniques required to undertake your major research project, a 60-credit dissertation on a subject of your choice. Full-time students will complete the programme in one year, while part-time students will complete all but the major project in their first year, with the second year spent on research methods and writing their dissertation. This module will develop your theoretical understanding of the physiological and biochemical responses to exercise. You will critically analyse and interpret physiological results from testing procedures. You will also critique and apply methodologies of nutritional status of individuals and assess the derivation and use of energy, macronutrients and micronutrients. This module, along with previously studied modules, will prepare you through the optional certification requirements of relevant professional bodies such as the UK Sports & Exercise Nutrition Register (SENr). This module aims to develop your practical and theoretical skills essential to designing, delivering and monitoring athletic programmes and optimising sport performance and recovery with devising individualised nutritional support programmes. You will be taught to examine the influence of nutrition on sporting performance and to explore the role of nutritional strategies during the preparation for, participation in, and recovery from sport competition. The module, along with previously studied modules, will help prepare you through the certification requirements of relevant professional bodies such as the UK Sports & Exercise Nutrition Register (SENr). This module aims to develop the student's ability to apply and see the application of knowledge gained from other modules in relation to a real work scenario. You will be required to adopt a reflective and critical approach to your working practice and to promote a problem-solving approach in a work environment. The Research Methods module provides a critical overview of the main methods and approaches used for research into topics areas related to sport and exercise nutrition, and enables you to apply this knowledge when planning a research proposal. The module affords opportunities to appraise the strengths and weaknesses of published work in your specialist area. You will learn in groups and explore philosophical, ethical and methodological differences which underpin various approaches to knowledge generation, while interprofessional workshops allow you to develop a research proposal, consider its adequacy and limitations, and justify the approach taken. Throughout the dissertation module you will be supported while undertaking research with a focus appropriate to your area of interest, potentially building upon the research proposal formulated in the Research Methods module. The module creates a peer learning community for students, enabling you to provide guidance and to critically support one another on matters of ethical application, research methods, data collection, analysis and writing-up in the research process – in addition to that provided by your supervisor. How is MSc Sport and Exercise Nutrition taught? You will gain knowledge, understanding and practical skills through attending lectures, participatory seminars, small group discussions, directed learning, laboratory and practical sessions. You will be assessed by a variety of methods including seminar presentations, written assignments, laboratory reports, unseen examinations and practical demonstrations. Ideally applicants will have one year's relevant experience in the sport and fitness industry. For applicants with a 2:2 undergraduate degree, an interview may be required. How can the MSc Sport and Exercise Nutrition support your career? Whether you have experience as a sport and exercise scientist, strength and conditioning practitioner, personal trainer, nutritionist, dietician, physiotherapist, or you have recently graduated from an undergraduate degree in one of these areas – you will already have a range of career options available to you. This postgraduate course has been written in consultation with leading industry experts such as the English Institute of Sport so is designed to equip you with the skills and experience desired by potential employers in the specific field of performance nutrition. At the end of the degree you will have completed 150 hours of professional practice and have the necessary knowledge and experience to apply to the graduate SENr – a qualification which will enable you to take the next step in your career. You will be well placed to work in elite and professional sport, for national and international sports teams and organisations. Numerous private gyms, consultancies and other sport and exercise organisations also demand the expertise of specialist nutritionists, and there is significant space to work as a self-employed nutritional consultant.